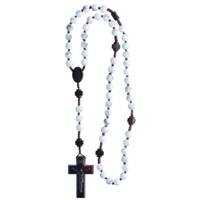 Enter into the sacred mysteries of the Life of Christ by praying the rosary, an "epitome of the whole Gospel" (Pope Paul VI). 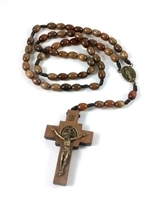 It is not merely the recitation of repetitive prayer, the rosary is about a relationship, your relationship with the Lord, as your heart is engaged in pondering and reflecting on God's presence through Marian devotion. 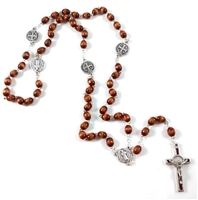 Given to us through the Mother of God, the rosary is a form of Scripturally based prayer for your daily meditation. It also serves as a preparation for contemplation and communion with the Lord. When prayed humbly and sincerely from the heart this spiritual weapon has the power to heal, convert and transform lives because its power lies in the Spirit of the Lord. 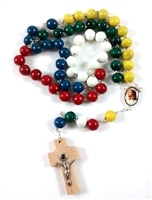 So take up arms and purchase a rosary for yourself or for others. 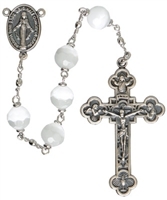 Clothe yourself in "the armor of God" (Eph 6:11-18) and pray the rosary in union with Our Lady for every good grace and for the salvation of souls. 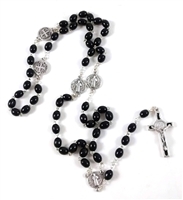 "The rosary is the book of the blind, where souls see and there enact the greatest drama of love the world has ever known; it is the book of the simple, which initiates them into mysteries and knowledge more satisfying than the education of other men; it is the book of the aged, whose eyes close upon the shadow of this world, and open on the substance of the next. 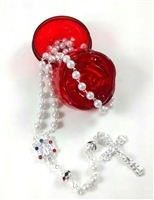 The power of the rosary is beyond description" (Archbishop Fulton Sheen).